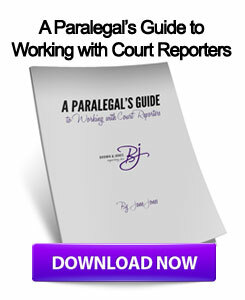 As reported by this blog, there are many advantages to being a court reporter, one of which is recording historical events such as major court cases and other cultural instances that are televised. With the advent of closed captioning, court reporters have taken on a new role in the industry – providing captions for broadcasts. Digital broadcasting and its burgeoning use has caused the Federal Communications Commission (FCC) to create a mandate that requires some material on the internet to be captioned, furthering the dependence on reliable, real-time court reporters. With the new FCC regulations becoming effective on September 30, many court reporters will have their hands full between writing deposition transcripts and providing captioning for digital programming. The SheppardMullin FCC Law Blog has clarified the new law in a recent post. According to the source, the regulations do not apply to programming exclusively shown on the internet. It is only required for broadcasts that are on both mediums. In addition, the "live and near-live" real-time captioning requirement was created for the "simulcast retransmissions of live broadcast content," such as major sporting events. While the rest of the regulations go in effect at the end of the month, broadcasters have until March 30, 2013 to gear up for this change. Also, only full-length programming is affected by the new law, not "clips" of programs. Furthermore, "consumer-generated" content is also not affected by the new mandate. Therefore, if a consumer posts a video on YouTube it does not need to be captioned, whereas if NBC reposts entire episodes of television shows on the site that were broadcasted on television, they must have a caption option. With the regulations soon to set in, broadcasters in the Midwest may want to partner with Wisconsin court reporters that can provide real-time reporting for online captioning services in time to meet deadline. This entry was posted on Tuesday, September 11th, 2012 at 10:40 am	and is filed under All Posts, Court Reporting News. You can follow any responses to this entry through the RSS 2.0 feed. You can skip to the end and leave a response. Pinging is currently not allowed.